Why buy from Casco Bay? 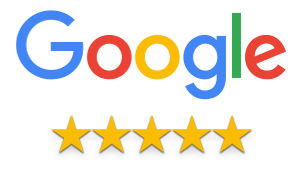 Over 5000 Satisfied Customers- Excellent consumer reviews. Flawless record with consumer advocacy organizations. We sell the high quality products at the lowest possible prices and include many extras and free upgrades saving you even more, such as free in home white glove delivery, free down cushions, free fabric and leather upgrades and a complimentary furniture protection plan (some exclusions to the preceding) and we don't have to collect sales tax in most states. (There are some exceptions to our free white glove delivery policy such as, deliveries to remote areas as specified under Shipping Information in our FAQ's area, local delivery restrictions, missed delivery appointments requiring a subsequent delivery, staging, building restrictions and single items that are part of a group such as ottomans. Please call our staff for further details and exceptions). Direct to You Pricing- Compare our products to those found at other specialty retailers. You may ask yourself how can Casco Bay offer such incredible value, offering savings of up to 50% on the furniture you want? Its really simple, our Direct to You Pricing has cut out the middleman. You may ask yourself how can Casco Bay offer such low prices. The answer is simple. Strict cost control measures on everything we do. We don't carry inventory other than our showroom samples. We are one of the few retailers that often buy our own leather hides which we buy in bulk. We don't mark up our leather when calculating our selling price. If you want a special order leather we can order your leather directly from the leather supplier considered the best in North America. We don't have high cost rents, high overhead, and extensive advertising campaigns. We don't publish catalogs. We don't borrow money. We pay every bill on receipt of invoice and have excellent credit. We take discounts for paying within terms when available from our manufacturers. There's and old adage which we have found to be true: Give a manufacturer good volume, pay your bills fast and you will get good service and low prices. As a result we purchase our leather sets at heavily discounted prices. These sets are built to our specifications which exceed what the manufacturers generally offer. We have very favorable shipping rates from our home delivery service. Collectively the savings can be substantial. These savings's are reflected in our mark up.You can save hundreds if not thousands of dollars at Casco Bay. We know times are tough. If you want the same look and comparable or superior quality to that found elsewhere at Direct to You Pricing then consider Casco Bay. You won't be disappointed. Focused Merchandising- We carry only the highest quality products and offer them at substantial savings. We think you will be impressed with the quality we offer. We attend the four major furniture trade shows in High Point, North Carolina and Las Vegas, Nevada carefully searching for the best values and the best quality in the industry. Our buyer has over 30 years of experience in the industry. Our upholstered products are well designed, well made and well tailored. We also do not try to be everything to everyone. We practice focused merchandising. We have selected the best products in selected categories. Knowledgeable Staff- Our commission free staff members have an average of 15 years experience in the furniture industry. We care about our customers. Call us you will get a live, knowledgeable and friendly person. Free Professional Shipping On Almost Everything-We offer in-home, pre-inspected and insured delivery on most of our larger items. We never charge extra for this level of service as others do. We don't expect our customers to struggle and potentially damage their orders struggling to carry them in from the curb. We feel our customers deserve this level of service. No Sales Tax- We are not required to collect sales tax in most states. Shop Online Its Easy- Save time, save money and save the hassle. Its easy to shop online at Casco Bay for the quality products you are looking for. We offer free swatches so you can create the look you want in the comfort of your living-room without the pressure or the hype found elsewhere. Warranties- All of our products carry manufacturers warranties. For $299 we offer 5 year full replacement "Piece of Mind" extended warranties covering rips, cuts, burns and other forms of accidental damage. Coverage includes up to three pieces of furniture for one low price. Ask your salesperson for details. Our Mission- We realize that people are very careful about their purchases today. Our mission is to exceed our customers expectations to the best of our abilities.